Many parks go it alone. Campgrounds, RV parks and even RV resorts operate year after year without belonging to a state or national campground industry association. Many of them do quite well on their own, though probably not as well as they could do if they joined a campground industry association. Most park operators will tell you that campground association memberships are as valuable to park operators as Costco memberships are to individual families. 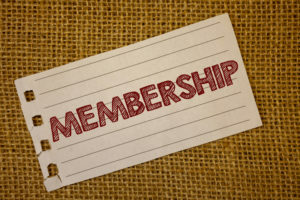 Indeed, the savings that association members receive each year on everything from propane and business office supplies to appliances, golf carts and heavy equipment can easily offset the cost of association membership and result in additional savings. For some parks, the discounts they receive on music licensing alone offset the cost of membership in both the National Association of RV Parks and Campgrounds (ARVC) and Arizona ARVC, its state affiliate. Savvy park operators also know that being a member of a state and national campground industry association is a strategic investment that helps individual members as much as it helps the industry as a whole. “We have strength in numbers, which makes us much better equipped to fight off legislative or regulatory threats to our industry than any individual park operator on their own,” said Jo Ann Mickelson, executive director of the Arizona Association of RV Parks and Campgrounds. The reality is that your learning curve is much faster when you are a member of an association because of the educational events and tradeshows that take place every year, all of which offer not only opportunities to learn about the best practices in every aspect of the campground industry, but opportunities to interact with other park operators who are also trying to refine and improve their businesses. “Association membership is particularly valuable for newcomers to the private park business, many of whom don’t get into this business until later in life, perhaps as a career and lifestyle change from another type of business,” Mickelson said. Industry conventions and meetings provide one-of-a-kind opportunities for campground, RV park and resort operators to meet with one another, tap each other’s brains and learn about best practices, emerging trends and the best ways to respond to specific challenges from unruly guests to lawsuits to the latest state and federal regulations. Campgrounds that are members of industry associations also tend to receive the most exposure through traditional and social media channels. This isn’t by accident. It happens because campground associations dedicate resources to help park operators improve their marketing efforts. This assistance ranges from offering seminars on traditional and social media outreach strategies to marketing parks directly through traditional printed campground directories as well as online marketing platforms, such as GoCampinginArizona.com and GoCampingAmerica.com. Of course, being a member of a campground industry association isn’t solely an opportunity to save money while learning about the best practices in the industry. It’s also an opportunity for park operators to share what they’ve learned with their peers so that they, too, can improve their operations and customer appeal and improve the guest experience overall. On the other hand, parks that need to make lots of repairs and improvements can find friends in an association who can help them accelerate their learning curve, prioritize their improvements and develop a more profitable parks that benefit themselves, their customers and the industry in general.